Career & industry experts from San Francisco, New York, Chicago, Los Angeles, Las Vegas, Silicon Valley, & Mumbai shared successful career transition strategies & tactics. 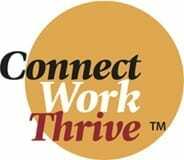 Join Us at the Next Return to Work You Love Conference! 9am | Welcome Address: Recognize and Embrace Opportunities! Don’t Miss the Next Return to Work You Love Conference!